If you have any questions or want to enquire about dates, use our form to contact Laurence & Katie Mackay or see their website for more information. 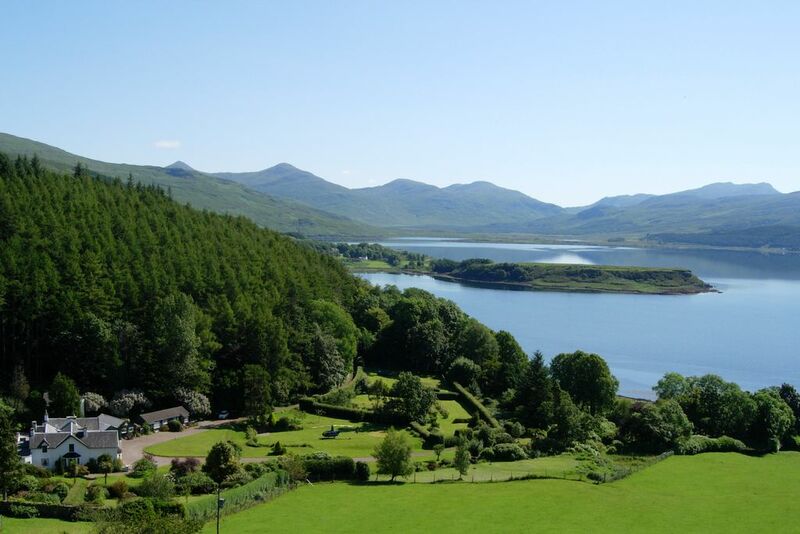 The setting is magnificent – 17 acres of gardens rolling down to Loch Scridian. Otters and dolphins pass through, buzzards and eagles glide above, red deer visit the garden. As for this 1850 shooting lodge, you’ll be hard pressed to find a more comfortable island base. There are fires in the drawing rooms, fresh flowers everywhere, games to be played, books to be read. Airy bedrooms hit the spot: crisp linen, beautiful fabrics, the odd chaise longue; some have watery views, all have silence guaranteed. You eat in a smart dining room with much of the delicious food from the island or waters around it, perhaps mussel and oyster broth, saddle of lamb with carrot purée, chocolate torte with vanilla ice cream. Wander to the Whitetail Coffee Shop for afternoon tea. You’re bang in the middle of Mull with lots to do: Tobermory, the prettiest town in the Hebrides; Calgary and its magical beach; day trips to Iona and its famous monastery; cruises to Staffa and Fingal’s Cave. If you want to be more independent there are two self-catering cottages in the grounds. Gardens to walk through, enclosed fields, woodland walks beside a burn, private beach: dog paradise! Perfection. The staff, the rooms, the food, the setting. I showed up late my first night, off the ferry from Oban, and they kept the restaurant open just for me. The whole experience was marvelous. I'll be back. The Tiroran House is one of the loveliest and friendliest places we have ever stayed in our 10 visits to the UK. The setting is idyllic, peaceful, and relaxing. The food is impeccably prepared, presented in a glorious manner, delicious, and served at a leisurely pace. My only regret is that we weren't able to stay longer! Fantastic walks start from the front door - you can explore the spectacular coastline of the Ardmeanach Peninsula, then check out McCulloch's Fossil Tree, said to be more than 50 million years old. You may spot a pod of dolphins, too. Ben More, the island’s only Munro, is close; views from the top stretch as far as Ireland.